“There was no decision to be made if it was set in a bar; it was a question of where adults interact. Most adults are living cloistered lives in seclusion. They cross paths at bars. 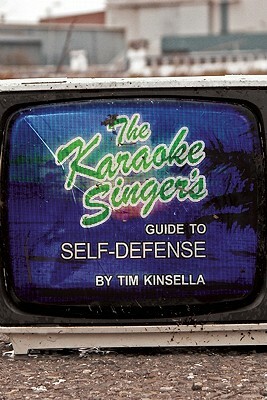 ” At The AV Club, Nicki Yowell interviews Tim Kinsella on his new novel, The Karaoke Singer’s Guide to Self-Defense. Also mentioned: the novel he’s working on now. Warren Ellis delivers an essay on digital distribution of comics, longform serialization, and more. Mentioned: his own Freakangels; the work of Howard Chaykin, Casanova, Girl Genius, and Cerebus. At the LA Review of Books, Megan Abbott reviews Tom Perotta’s The Leftovers. If you’d like to hear a recording of Oneida’s eight-hour set from last weekend’s All Tomorrow’s Parties festival, we might just have a link for you.